In this latest update I've added overall 97 Pau Gasol and overall 94 Gail Goodrich. Great cards for considerably low MT. I hope you enjoy the video and online gameplay! 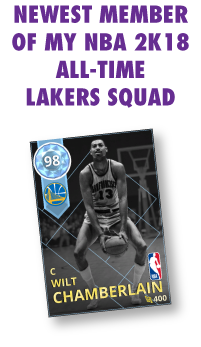 Here is my latest update on my NBA 2K18 MyTEAM Ultimate Lakers Squad. I've also include online gameplay. Enjoy!